The 2nd Street Festival in Northern Liberties is turning 10 this year. For the past decade, the huge block party has been a can't-miss summer event, drawing crowds from all over to the neighborhood. 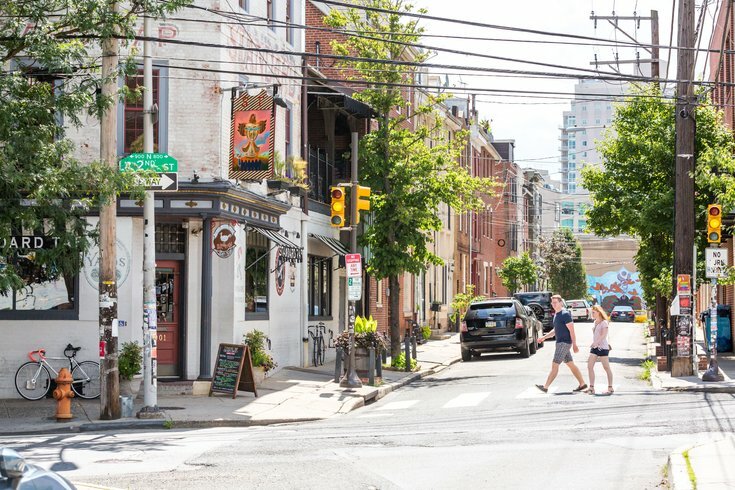 On Sunday, Aug. 5, enjoy live music, street food, beer gardens and an arts & crafts market on North Second Street, from Green Street to Germantown Avenue. The biggest draw of the annual festival is the music, which starts in the afternoon and doesn't end until nighttime. This year, 20 bands will perform on three stages. Find them at Germantown Avenue at the north end of the festival, Brown Street at the south end, and at the piazza at the Schmidt's Commons. In the middle of the festival, there will be street performers. As for food and drink, festival goers can stop by the brick and mortars along the street, including Urban Village, Standard Tap, Jerry's Bar and El Camino Real. Some of the restaurants and bars will have outdoor beer gardens for the festival. Or, check out what the food trucks have to offer. Lil' Pop Shop, Kono Pizza, The Cow and the Curd, Weckerly's, Poi Dog and more will be there. The arts & crafts vendors will be scattered throughout the festival footprint. There will be jewelry, clothing, prints, photography, pottery, home goods and more to shop. The 2nd Street Festival is free to attend and will run from noon to 10 p.m. Around 20,000 people are expected to attend.